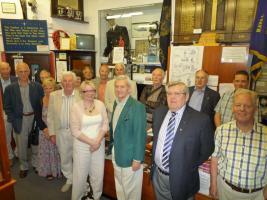 Rotary Club of Soar Valley, The - welcome! Please scroll/swipe down through this page to find out more about us, in addition to the pages linked in the menu, top-left. 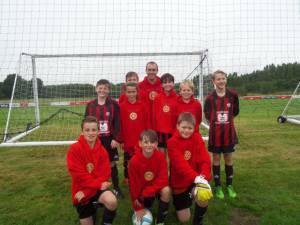 For the 2nd year, in July, Rothley Imps represented our Rotary District in the National Rotary under 12 football competition at St George's F A Centre nr Burton up on Trent. 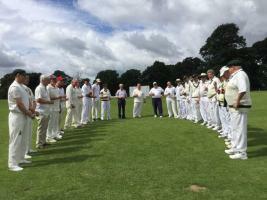 Representatives of the Australian branch of IFCR (the International Fellowship of Cricket Loving Rotarians) toured the UK in July 2017 and visited Charnwood. Soar Valley Rotary joined forces with volunteers from the Sorrel Youth cafe to litter-pick an area including the Castle Hill Gardens, Leisure Centre grounds. In all nearly 10 bags of rubbish was collected, much of it recycleable. Assistant Governor Graham has found that size does matter. Visit to Loughborough Carillon & Museum - the first grand Carillon to be built as a war memorial in Britain. 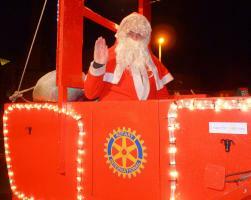 Thank you to Soar Valley residents for your generosity when Santa visited the Soar Valley villages. Please click for more information. 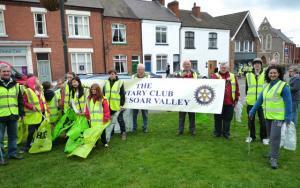 Welcome, to the website of the Soar Valley Rotary Club in Charnwood, Leicestershire. We are a thriving and friendly Rotary Club serving the villages between Leicester and Loughborough. Our aim is fellowship and to benefit our community. We are proud of our club and the contribution Rotary makes to communities both locally and abroad, by living up to its motto "Service above Self". 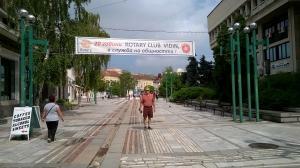 If you'd like to see more of Rotary, need our help or are interested in joining, please get in touch. Click on the "Contact" button above. We'll get back to you as as soon possible. If you are a Rotarian visiting the area, you will be made welcome at any of our meetings - check the Meetings and Venue below for further details.